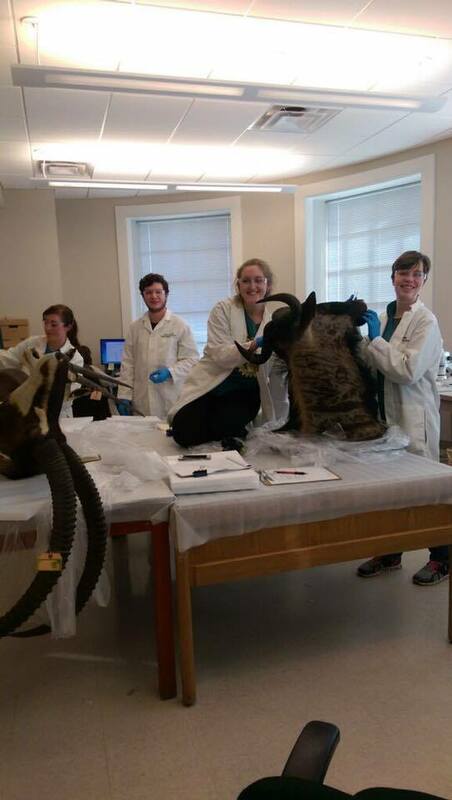 Museum Studies graduate students Amanda Neel and Madeline Walicek helped clean two large taxidermied mounts from the Mayborn's collections. Tom Andrews and Sarah Howard, Graduate Assistants in collections at the Mayborn, led the work group. 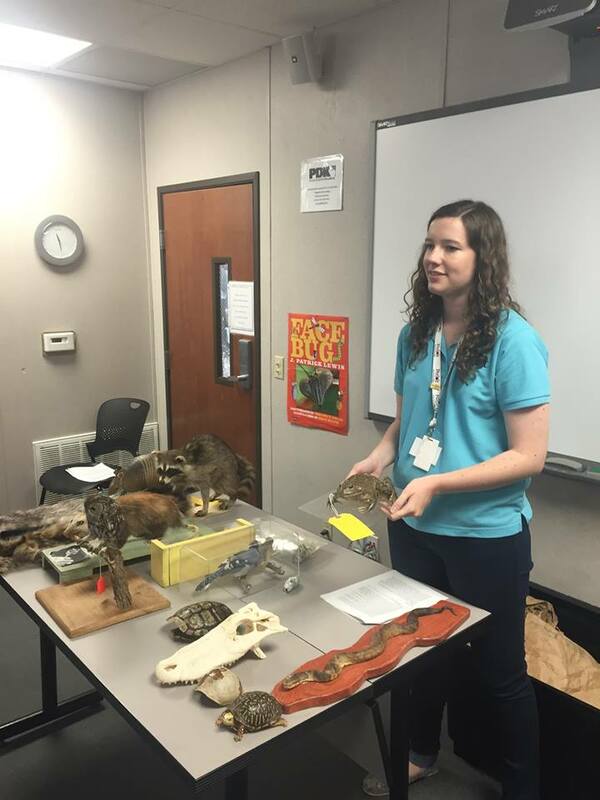 Emily Clark (MA 2016) completed her capstone experience at the Perot Museum. 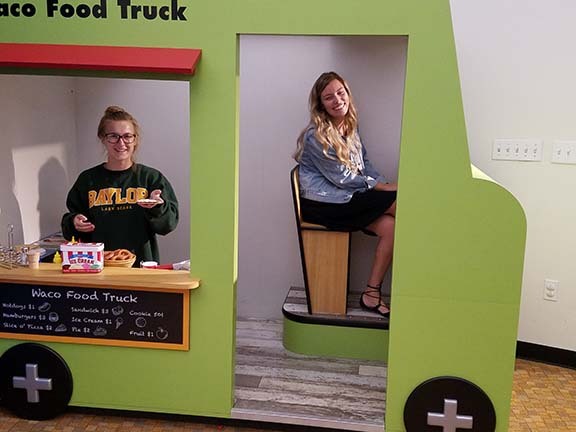 Students in the exhibit design course installed a new temporary exhibit at the Dr Pepper Museum and Free Enterprise Institute. 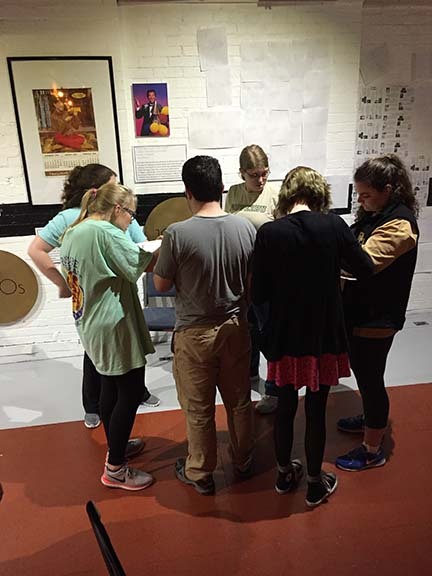 Students in Dr. Julie Holcomb's collections management class had an opportunity to check out Play Waco soon after it opened in the Jeanes Discovery Center, Mayborn Museum Complex. 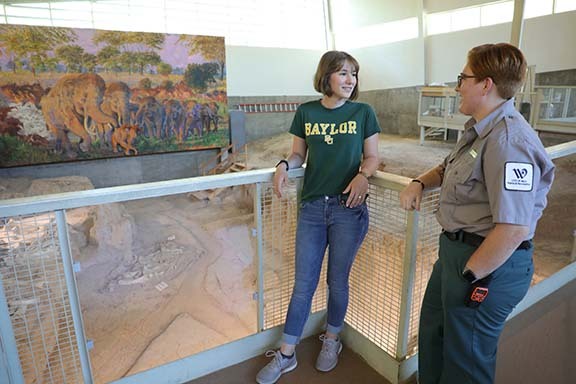 The department of Museum Studies in cooperation with the City of Waco offers a graduate assistantship at the Waco Mammoth National Monument. 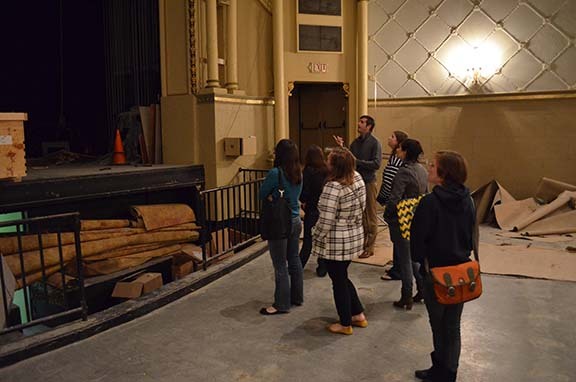 Students in Prof. Eric Ames's Historic Preservation course toured the Waco Hippodrome Theater. Working with Waco-McLennan County Library and the Mayborn Museum Complex, students in the Museum Studies program hosted a preservation fair for the members of the Waco community. The department offers a graduate assistantship in exhibits at the Mayborn Museum. 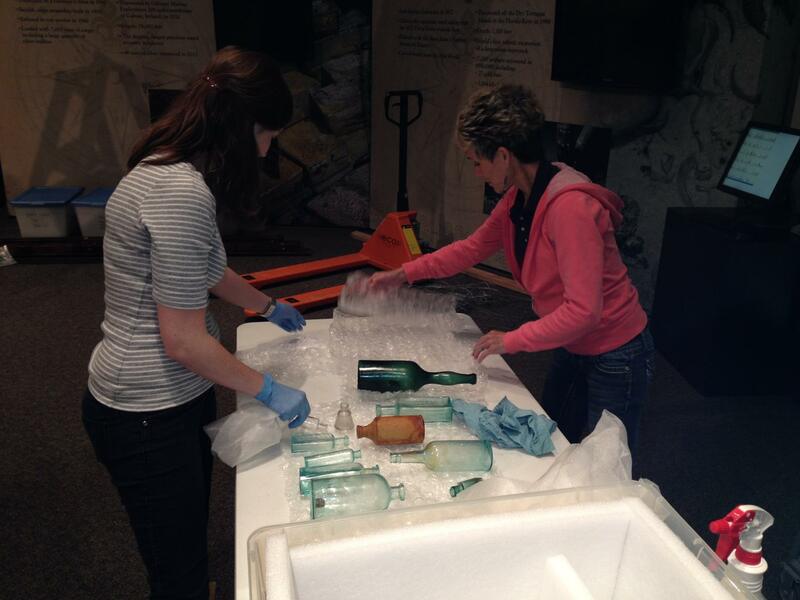 Students holding this position assist with the installation of temporary exhibits. 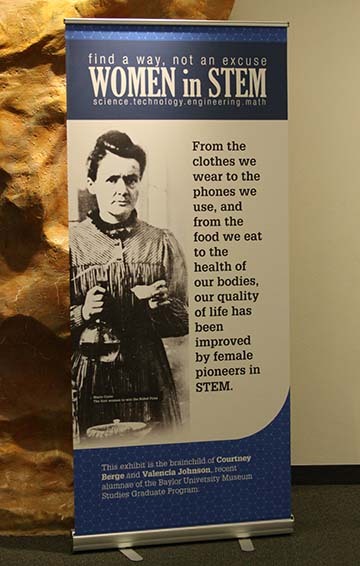 In 2017, the Mayborn Museum Complex hosted the temporary exhibit, "Women in STEM." 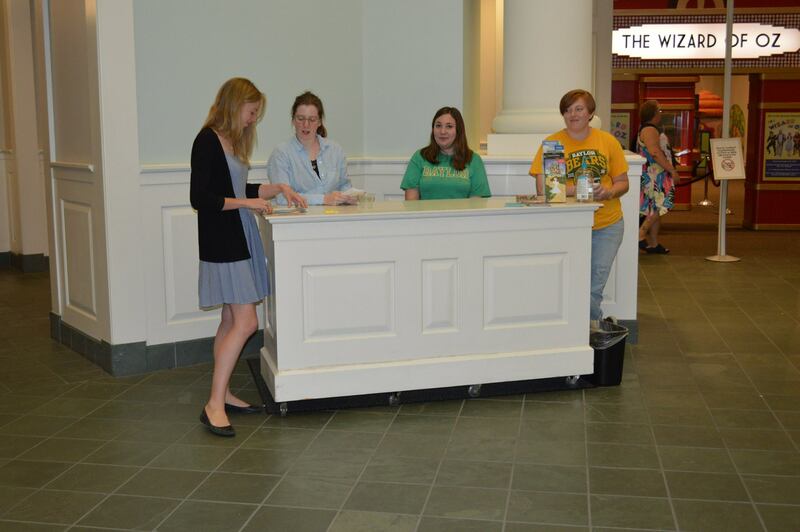 The exhibit was the brainchild of two Museum Studies students, Courtney Berge and Valencia Johnson. The Department of Museum Studies is located within the Mayborn Museum Complex which surrounds students with many academic and career opportunities. This new multidisciplinary museum serves as a living laboratory where students apply their classroom learning by participating in all aspects of the museum's daily operations. More opportunities for experience in the museum field are available because of a phenomenal concentration of cultural resource sites located throughout Waco. This unique scenario is enhanced with personalized education and training from a experienced and dedicated faculty.